One of the more difficult consequences of divorce is the need to share visitation between parents at the holidays and school vacations. While most of us will agree that spending time with both parents is in the best interests of the kids, it doesn’t always make it any easier for the parents or the kids involved. 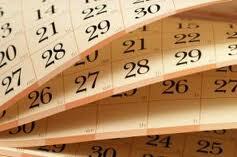 Schedules – In my case, we work with two visitation schedules and long distances in both cases. This leads to my second career as a travel agent. When you are dealing with young children and visitation there are several things to consider. One is logistics. You need to get them to and from their destination safely, happily, affordably, and within the constraints of school vacations. The second consideration is emotional. Preparing your child for the trip, for reuniting with the distant parent, for being away from home, and for leaving the distant parent again is hard. It is hard when you may have your own feelings about the other parent or about the visitation schedule. It is at this point that you bite your tongue, smile through your own pain or anger, and smile and tell them what a great time they are going to have. You can go for a long run or eat Ben & Jerry’s when they’re gone. With my oldest son, we’ve been doing this since he was a baby and I am fortunate that we have always been able to communicate, if not agree, about schedules and needs. This has become more important as our son has gotten older and has more demands on his time. When I remarried and had another son, my ex was incredibly gracious and has allowed our son to spend every Christmas morning at home. Someday soon, my younger son won’t believe in Santa and it might not be as important, but I truly will be forever grateful for the ability to have them both wake up in their own beds and come down to stockings and Santa on Christmas morning for the past eight years. I know his dad would like him there too and this is a gift he has given us all to keep them together for that moment. In return, I give up the rest of the Christmas vacation. For me, that’s a fair trade. Travel Tips – Starting a few years ago, I had to start going the route of the “unaccompanied minor.” Yes, my kids fly by themselves, my youngest most often. Yes, it makes me nervous, each and every time. It helps that my husband is an airline pilot so I know a lot about the process, procedures, and safety issues. He’s also a pretty experienced flyer so his anxiety is lower than mine. Each airline has its own rules about age and types of flights. We almost always put him on a direct flight in the middle of the day. He likes the airline, because all seats have a TV in the back so if he has snacks, a handheld game or book, and headphones, he is ready to go. Try not to book on the first or last day of vacation to avoid huge crowds and overbooked flights. Direct is easiest, but if it’s not possible and the airline allows you to book a connection (not all do), consider the weather when planning your route. We’ve only had to do a connection twice, and it went fine as the children are escorted and watched during the transition, but allow extra time between flights and avoid cities that are likely to have a lot of delays at that time of year. 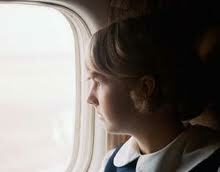 Emotions – If your child is nervous about flying alone, reassure them. Some airports allow you to come and tour the facility so your child becomes familiar with the airport if they haven’t flown before. If that isn’t possible, read a book about it, there are tons out there. Speak positively about your own travel experiences. I also always put an index card with my child’s information, including flight information and basic emergency contact information in their pocket. We also review rules about who you talk to if you get lost, just in case. Beyond the travel though, visitation can be an emotional time. Children need to be free to feel and express their feelings. They may be anxious about being away from “home,” scared about travel, excited to see their other parent and family, sad about missing events at home. Encourage them to talk about those feelings. Send a familiar toy or picture with them if it helps. Some children feel better if they call home regularly during a visit. I found, at least with my own kids, that not talking to me very often works better. They aren’t as homesick and they fully immerse themselves in the experience with their dad. Usually, I will speak to them at some point on an actual holiday if they are gone and hear about their day and tell about mine, but I try and keep it brief. Also expect that when they do get home, they have a wide range of emotions as well. Allow for a little acting out and don’t take it personally. Try to get back to routine quickly, it is reassuring to have familiar structure. Do not judge the experience and tell your child. If you have concerns about what you hear, deal with the other adult involved, out of your child’s earshot. It is not good for children to have their words turned against the other parent and you want them to feel comfortable talking to you. Children shouldn’t have to monitor themselves so much. As hard as it can be for you to send them off, try and take advantage of the time alone to enjoy activities you might put on hold while you are busy with them. Visit friends or family, watch the TV you like, revisit an old hobby, or volunteer. Clean the house and see what happens when it stays that way for a few days! You are allowed to feel sad, lonely, angry, or even relieved. Just don’t make your children feel guilty about enjoying their visits. Final thought – Sometimes plans change. Sometimes the hardest thing we have to do as a parent is to see our child disappointed or hurt when a scheduled visit doesn’t happen or doesn’t go according to plan. My personal philosophy is that I do not lie about why that happened, but I do try and be as neutral and factual as possible. I also empathize with my child’s feelings, but try not to feed any negative ones. Someday our kids will grow up and remember the things you said, the things you did, and who they can go to with a problem. I want that to be positive memories and them to feel they can talk to me about things. I do not envy your situation at all. I also commend you on how well you handle it all and on sharing advice with others who may need it. May your Thanksgiving be good and all the travel needs coming up work out.